The video embedded below is several years old and the video quality could be better. 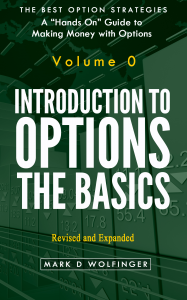 However, it remains an excellent introduction to options and I’m offering the lesson to everyone (at no cost). Adjusting in Stages. The Reality. Firstly hope everything is OK as you don’t write too frequently in the blog. I am writing much less these days, and most of that appears in my about.com column. Maybe you remember me Sure I remember you because throughout the years I have done some questions and also was in the premium forum a few months. I got out because it coincided with a strong work time and also left trading because of the poor results. I came back to the idea of ​​the Iron Condor and re-reading some post I would like you to validate this system and give me your opinion about it. The idea is to adjust risk by closing in stages as you suggest and I explore the numbers. In these low volatility times, it seems to make an IC by generating a 3$ credit is very difficult. 2.5$ could be easier with delta 15 ~ It’s a different world today, and we must adapt to current market conditions. Just be certain that you truly like (i.e., you are comfortable owning) the positions you are trading — and not merely following a formula for deciding which iron condors to trade. For example, when IV is low, 15-delta iron condors would be less far out of the money than they used to be. Perhaps you would be more comfortable with a lower delta…maybe 12. That is a personal decision, but I want you to think about it. Do you want a smaller premium coupled with a higher chance of success? It is very difficult to answer that question. Scenario: I trade 3-month iron condors. I trade 6-lots of the iron condor, collecting 2.50$ in premium for each. Total cash collected is 1,500$. First adjustment: Close ~20% position (1-lot). losing 100$. I would close only the threatened half of the IC. I encourage exiting the whole iron condor. Second adj: close ~30% position. losing $ 150 per iron condor (2 contracts) = 300 loss. Third adj. close remaining 50% position. losing $ 250 (3 contracts) = 750 loss. Let’s examine the worst (or at least a very bad) scenario: we would have to adjust every month of the year: This is very harsh. This scenario should seldom — if ever — come to pass. Six times: 3 adjustments, exiting entire position. Six times we make only 2 adjustments. b) Gain 740 six times = 4,560 ….. ….. 4500$ year …. This would be a very satisfactory result. Unfortunately the math is very flawed. ***You are assuming that it costs $100 to exit at the first adjustment, but that is the LOSS, not the cash required. To exit one iron condor at a loss of $100 costs $350 to exit. Similarly, when you exit after two adjustments (at a $150 loss per IC, it actually costs $800 cash – i.e., your original $500 plus $300 in losses). Exiting after three adjustments costs the $750 loss plus the original $750 premium. Total cost is $1,500. a) The 6 times when three adjustments are required: collect $1,500, pay $350 for adj #1, pay $800 for adj #2, pay $1,500 for adj #3, pay $60 in commissions: Loss = $1,210. b) The 6 times that two adjustments are required: collect 1500, pay $350; pay $800, and pay $150 later to exit the three winning spreads; pay $60 commissions. Net profit is $140. As I say I’d appreciate an opinion as deep as possible, because regardless of other possible adjustments we can make, I think the way you handle the IC goes here. One practical difficulty is this: How aggressively do you try to exit when adjustment time arrives? If you do not bid aggressively to exit the position, the loss may get much higher than $100 before your trade is executed. If you bid very aggressively, then you may be paying too much to exit positions that have not yet reached the adjustment stage. You must think about this. Honestly I pulled away from trading because i was not getting good results, but I continue thinking that IC are great and that your way is one of the best to do it. Please remember that no method is ever good enough – unless you feel comfortable when trading. Why? Because discomfort leads to poor decisions. Also: When you examine the correct numbers (above), you will see that you cannot make any money when you anticipate making three adjustments approximately 6 times per year. Adjustments are expensive and we make them to be certain that we keep our losses small. However, you must expect to make one or fewer adjustments — most of the time — for the iron condor strategy to be viable. 1. What’s your strategy on buying LEAPs options? In order to avoid time decay, when do you roll out if you have a long term view and would like to hold on the securities as long term investment? I guest the pros probably do it within at least 6 months of remaining time value? I do not buy LEAPS or any other options. If I were to buy LEAPS calls, I would buy options that are in the money — but ONLY on a stock that I want to own because I anticipate that the stock price will move higher. When buying any option, “worrying” about time decay is important – but it is not your primary consideration. And when buying LEAPS options IMPLIED VOLATILITY (IV) is far more important than time decay. I know that you are new to options, but please take this statement as true: When you pay too much for the options, your chances of making money on the trade are reduced significantly. It is a very bad idea to buy LEAPS options when IV is relatively high. To get more information on IV, read this article and follow the links. When you have a long-term view and when you know that you plan to own the options for a long time, then you want to buy an options with less time value (rather than one with more time value). That means owning an option that is even deeper in the money. In this example, I would buy the Jan 2016 70 call with no plan to roll until expiration is nigh (unless I roll to a higher strike price, per the discussion below). I still want to own call options on this stock (as you probably do). But sometimes, you must be willing to accept the fact that this stock is not going to move higher and that you made a mistake buying the call options in the first place. Do not make the mistake of rolling just to get more time. Also: IV cannot be too high or else you are paying far too much for your new call option. When would I roll? When I have a nice profit to protect. For example, let’s assume that you buy a call option on stock XYZ whose current price is $80 per share. The LEAPS call expires in Jan 2016. I would buy the call with a strike price of $75 (In the money). If the stock rallies (assume it goes to $92) and if I believe that the stock will move still higher, I would sell my Jan 2016 75 call and buy the Jan 2017 85 call or the Jan 2016 85 call. The decision would be based on how much time remains before Jan 2016 arrives and whether I prefer to own a 2016 or 2017 call. NOTE: The Jan 90 call is not sufficiently in the money and is not a good choice for the person who plans to hold onto the option for a long time. 2. When you sell put/call options, do you sell for a 1-month expiry options or longer so that the premium is higher but takes longer for the option value to decay due to longer time frame? I do both, depending on the situation. My recommendation for you – as a newer trader – is to write options that expire in about 60 days. That is a good compromise between less risk (shorter-term options come with little protection against a loss) and the less rapid time decay. 3. As my portfolio is small and $10k, like most rookie traders, I am comfortable with selling 1 or at most 2 covered contracts of puts/calls options. But the premiums is very little for a forward 1 month expiry options. This prompted lots of newbies, to take unusual large risky position on selling naked puts like 10 contracts which can be disastrous when volatility increased. What’s your take on this? ***If the premium is too small and if it does not allow you to make a satisfactory profit (THINK IN TERMS OF PERCENTAGE PROFIT, NOT ON TOTAL DOLLARS PROFIT) then you have chosen an inappropriate call/put option to sell. Find another stock or better yet, choose a longer term option. DO NOT increase position size just for the chance to earn more money. This is a risk that no trader can afford to take. You may even have to find a broker who charges lower commissions, but please, never increase risk just because the potentials gains are too small. The only time to increase risk (and that would be going from 2 options to 3; never from 2 to 10) is when you deem the trade to be extremely attractive. Interesting story in today’s Wall Street Journal online. Most people are familiar with the VIX, the CBOE Volatility Index. It uses options prices to measure the expected volatility of the S&P 500 index. A lesser known index is the RVX, the CBOE Russell 2000 Volatility Index. This uses the exact same formula as the VIX, but applies it to the Russell 2000′s stocks. As you might imagine, the RVX has historically run higher than the VIX, given that it measures the expected volatility of an inherently more volatile small-cap stock index. According to Russell Investments, the “premium,” or the difference between the two indexes, has historically been around 29%. But in 2014, a year that was at first a wild ride for small-caps, and then a wild ride for everyone, the relationship between the two has been both historically wide, and historically narrow.